Sometimes, you just don’t have time to make something amazing. This could be for a number of reasons. Perhaps your husband is just telling you now, at 8pm that he needs to bring a treat to work tomorrow. Perhaps you’ve been out of town all weekend and its your turn to bring dessert to bible study on Monday. Maybe you’re sick, or lazy. And it happens to me, a lot. Actually, this is so easy, I’m not even sure you can call it a recipe. Its more like a method. An easy, quick, cheater method. Add 2-3 tbs water per cup of UNWRAPPED caramels to a large bowl. Microwave 30 seconds at a time until caramels are melted. If too sticky, add 1-2 tbs more water. When caramel is melted, still in 3 tbs karo syrup. 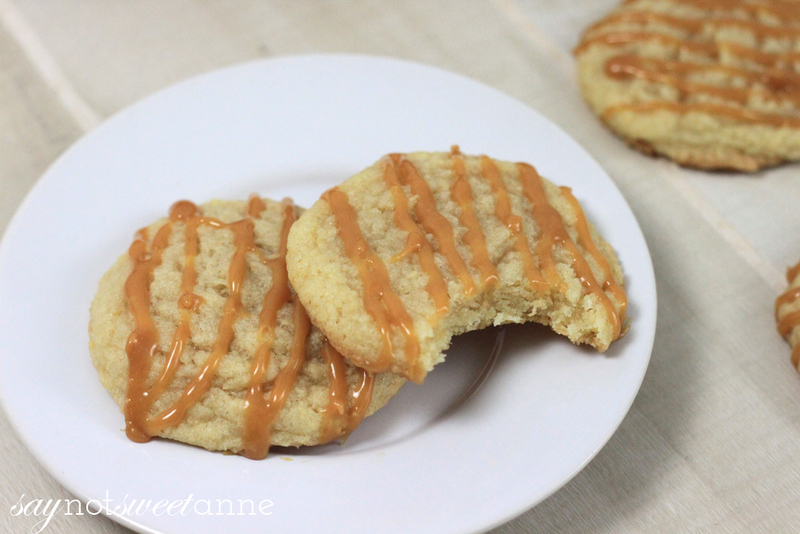 This will keep the caramel more soft and less chewy. 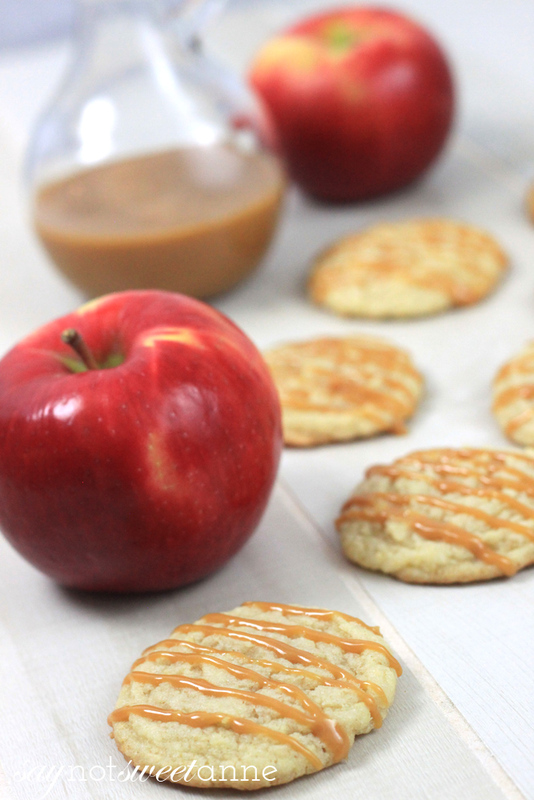 Drizzle caramel over cooled cookies. 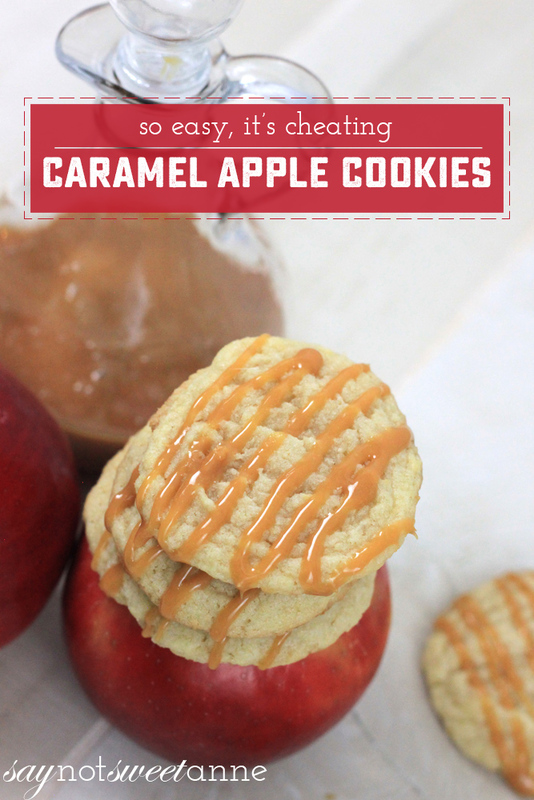 These caramel apple cookies have the best tangy apple flavor, which cuts the sweetness of the cookie, and pairs perfectly with the caramel. I get SO MANY requests for this “recipe” when I take these cookies out. I’ve used them in a couple of cookie exchanges too! Sometimes it’s okay to be a cheater!